Our specially formulated Flower Drying Crystals are great for preserving Flowers, Herbs, Bouquets, Corsages, Boutonnieres, Wreaths, Seeds, and much more. Our Flower Drying Crystals are perfect for beginners to use and one bag can dry 100's of flowers! Preserving fresh flowers is a simple and fun family project that lets you enjoy the beauty of flowers all year long! Our specially formulated Flower Drying Crystals are great for preserving Flowers, Herbs, Bouquets, Corsages, Boutonnieres, Wreaths, Seeds, and much more. 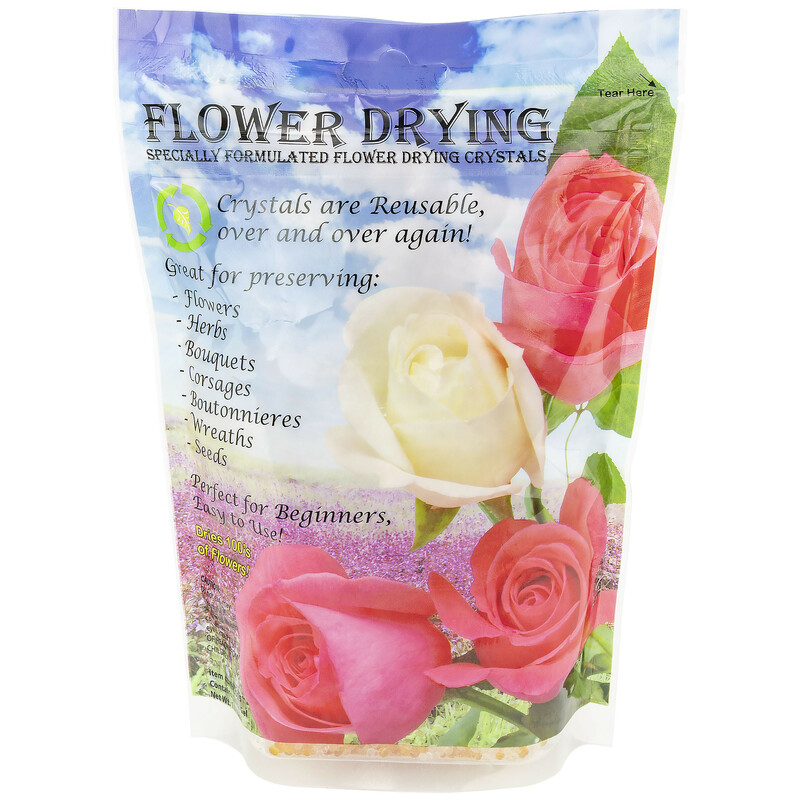 Our Flower Drying Crystals come in a reclosable bag and perfect for beginners to use as one bag can dry 100's of flowers! Preserving fresh flowers is a simple and fun family project that lets you enjoy the beauty of flowers all year long!